Figured I'd start the topic. 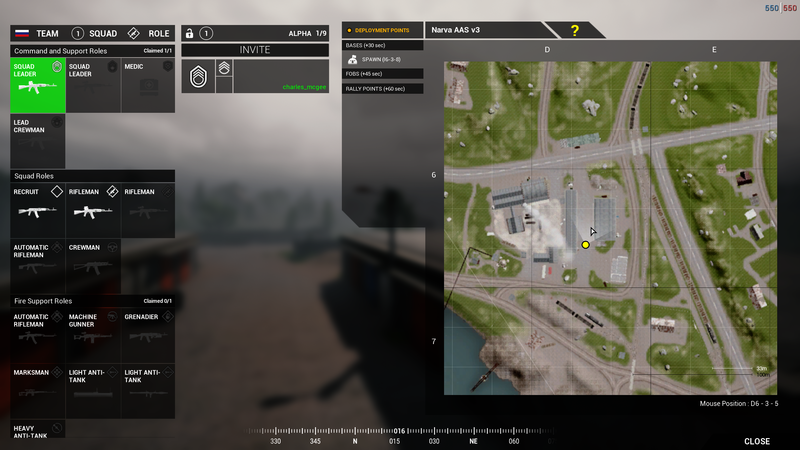 One of my squaddies was running around Russian main trying to get into a parked vehicle, and fell through the map. Maybe there is a "hole" in the ground somewhere there? Only happened once, so probably the hole isn't that large. Invasion final defence flag, i think it is gamma. 1. Had a bug where no-one could lean, confirmed in voice chat. Did not confirm range of effect, we were in cap range, toward the north side. 2. At the same time it seemed the capture time was really fast, perhaps 3 seconds from neutral back to full defended health then a little later it when back the other way from full health to neutral in 3 seconds then 3 more seconds to completely captured and game end. progress bar moved fast, it seemed to jump in blocks around 20%. No server issues were notable. On the AAS mode that is just one line of flags, Bravo flag cap point that is near US main is bugged. invisible barrier in building At Delta Cap zone. The east side of building in images...images for pin point location. You just have to prone and go against the wall, and you'll pop right into the building. While not a bug, it certainly has been an issue. The team on the east can have their bridges permanently blockaded by the opposing team. With the mechanics of leaving a burnt out vehicle in-place for the remainder of the game, I have seen the western team use their transport trucks and other vehicles as roadblocks on ALL bridges by destroying them at those locations. This effectively cut of all vehicle support for the opposing team. Now, I could be mistaken and the river might be safe to cross. Please correct me if this is true. If destroyed vehicles could be dug-down, this wouldn't be an issue. The vet advertisement you guys have tried to translate to Estonian is complete gibberish. Send me the strings and ill send you the correct translations. Ticket bleed starts at second flag instead of middle flag for both teams. Russian side logistical trucks cannot resupply neither ammo or construction. They start with 2000 max points but once those are dropped and the logi returns to main for resupply, the logis are bugged and cannot be refilled with new resupplies.